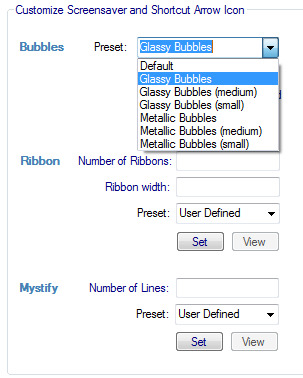 Using WinBubble, you can now set it in just two Clicks. Just Choose and click the Set button. To return the screensavers to their original state, choose the default options and click the Set button.